What exactly does ‘epigenetic’ mean? Well epigenetic literally means “in addition to changes in genetic sequence.” The term now means any procedure to change genetic activity without changing the sequence of the actual DNA. So why is this important? Epigenetics can affect a lot of scientific research. For example DNA methylation is a hugely important epigenetic modification. DNA methylation is where a methyl group would be added to a cytosine in a DNA sequence changing its function. This can be used in embryonic development, X-chromosome inactivation, genomic imprinting, gene suppression, carcinogenesis and chromosome stability. This means DNA methylation is very vital to growth and development- as it is a natural process- however can affect bad cells. Examples of this are with cancer cells. DNA Methylation patterns- adding a group- are interrupted and changed when cancer is present. DNA methylation done on the promoters in tumor cells can turn off the expression of genes. In humans this can cause disruption of vital developmental pathways. This was then tested in an experiment (for now we will only observe human results because it was tested on mice as well) They tested human normal brain tissue vs. cancerous. After testing the DNA methylation patterns on tumors, they found that 121 loci (loci is the central “hot spot” of genes) had strong methylation compared to the normal brain tissue which had 60% less. So what does all this mean?? Basically DNA methylation is a good thing in a normal environment. 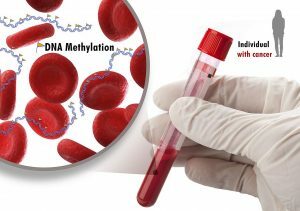 When cancer is present DNA methylation can change and be harmful in a negative environment such as a tumor because it causes hypermethylation. While the take away is essentially the obvious- cancer is bad- scientists can use this data to find a correct cure for cancer and to create better medicine as some can harm even more by increasing DNA methylation in tumors. For more information on this click here. There are over one hundred trillion organisms- most are bacteria- living in our intestine today. These are referred to as the gut microbiota. While trillions of bacteria sounds scary, they can actually be very helpful. Research has been done worldwide and the discovery has been that gut microbes actually can kill cancer cells all over the body. (Not just in the intestines) But how? 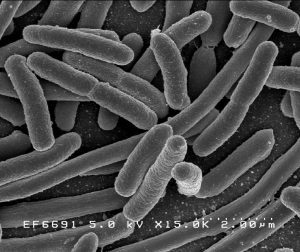 Gut microbes and cancer actually cross paths. Gut microbes can manipulate the immune system and can either increase inflammation or lower it as needed. This means the bacteria can actually work with cancer treatments, boost T-cells, and control other factors that help cancer grow such as fungi, or viruses. However, this is not all. While some cells help against cancer growth, others do the opposite. It varies cancer to cancer, and all have different results. As said by microbiologist and immunologist Patrick Schloss “What we really need is to have a much better understanding of which species, which type of bug, is doing what and try to change the balance.” So more research is still being done to decide how to control the microbiota, but a possible theory is that because it’s in the intestine it is related to our metabolisms and so what we eat controls the bacterium- this can also then effect the colon, thus effecting more cancer: colon cancer. Mars has experienced dust storms for years now, so a simple one is nothing new; however, by October 29th of this year, the dust storms will be at their all time high according to NASA. 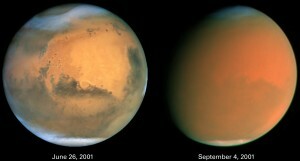 The dust storms on Mars are so strong that back in 2007 (the most recent larger one), the storm dimmed the sun, reducing the solar power available to two rovers on different sides of the planet. This continues to be an issue as the storms increase, limiting the power available to the rovers, and leaving them alone. Not only do dust storms threaten rovers, but astronauts too. Future astronauts will have to face tremendous winds, extreme dust, and lack of solar energy like the rovers. Furthermore, research from the past will now to indicate a pattern to predict future storms as the storms have thus far indicated a cycle and with further observation will continue to prove true. I chose to write about the mars dust storm because besides the fact that I am utterly obsessed with space, the dust storms and the recent water finding on mars bring us closer to finding a planet just like ours, and thusly in the far future a refuge planet in the event of disaster on earth. By creating a history of dust storms we can evaluate the safety and conditions of this planet as we continue to learn about it.